Allen Hershkowitz, from The N.Y. Times, has written up an interesting piece about The Greening of Professional Sports. 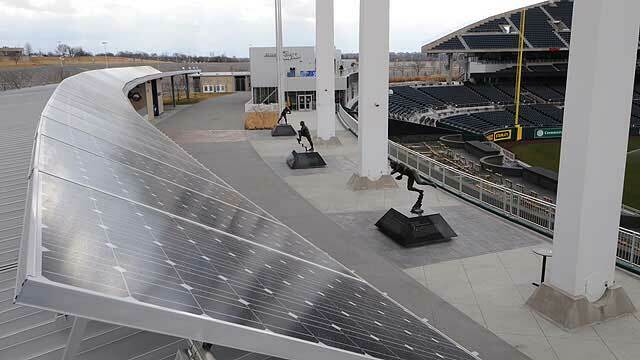 Fifteen professional stadiums or arenas have achieved LEED certification for green building design and operations, and 17 have installed on-site solar arrays. Millions of pounds of carbon emissions have been avoided, and millions of pounds of paper products have been shifted toward recycled content or not used at professional sports sites. Recycling and composting programs have been developed or are planned at virtually all professional stadiums and arenas.